Order short dog leash for close control over your dog or for use as a lead-mediator. Colors: black, brown. Length: 10 in (25 cm). Width: 1/2 in (13 mm). Short dog leash is an easy and comfortable tool that serves as a mediator between a dog collar and leash. Mastiff is a strong and large dog. You will surely need a reliable tool to control this powerful beast! 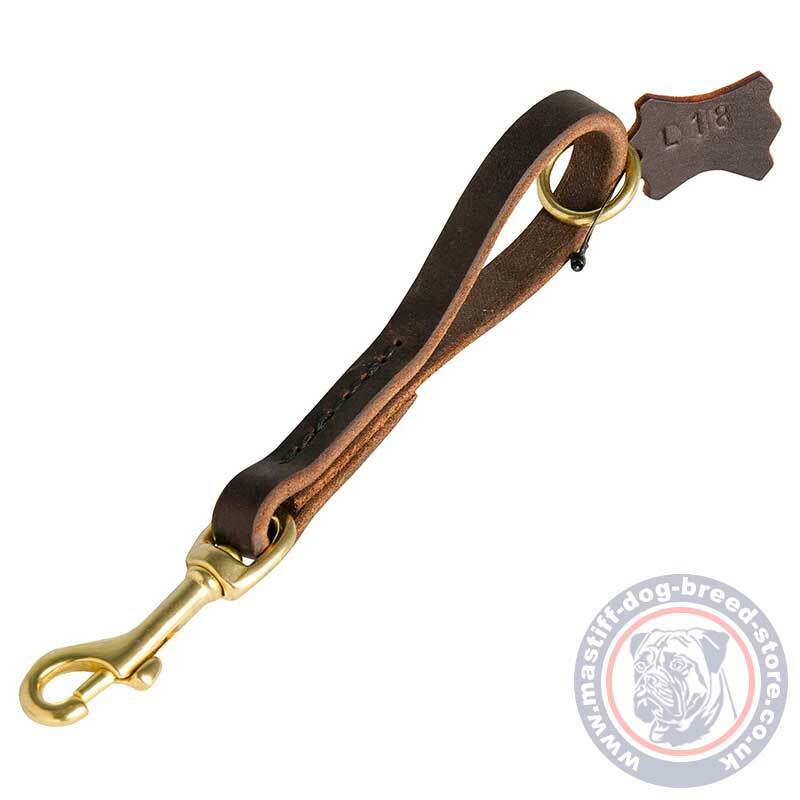 Try this short dog leash and use it for control over mastiff temperament on close distance and to easy grip it when needed. 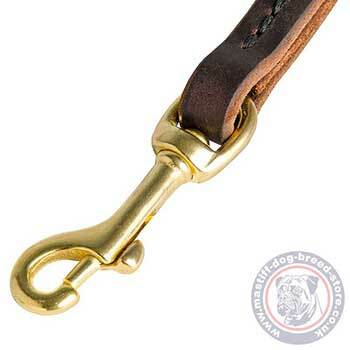 Short mastiff leash is more comfortable for handling that a long once. Once the short dog leash is attached to a dog collar, then it is easier to handle your dog and then you will fasten a longer leash to a ring on this pull tab within a second! Short dog leash is not a handle. It has a small loop. But it is an easy and comfortable tool that serves for fast grip of your dog and easy to adjust as a mediator between a dog collar and leash.